My friend Rae Dawn Chong, who starred in several Hollywood studio pictures in the 1980s like “Quest for Fire” and “Commando,” claims the now-disgraced Hollywood producer Harvey Weinstein “is only the tip of an ugly iceberg” regarding the industry’s treatment of women. Chong, who used to be represented by one of the most powerful agencies in town, CAA, recalled that she was once sent to an evening meeting with then-movie star Steven Seagal in the 1980s. “9:30 p.m. at the Bel Air hotel — I was shocked at the time,” she said, but the agency excused the late hour and location, and when Chong arrived at the front desk she was told to go to his room. “I knew then that I was being pimped by the agency,” she said. Although she refused to enter Seagal’s hotel room, she knocked on the door to confirm that she had made the appointment, only to have Seagal answer in his bathrobe. Reps for Seagal and CAA did not respond to my request for comment. Chong is now the third woman to accuse Seagal of misconduct after actresses Lisa Guerrero and Jenny McCarthy told their stories to the L.A. Times on Monday. 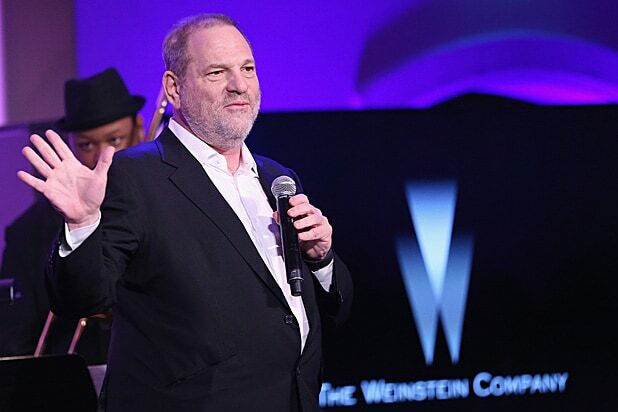 Chong’s saga has been echoed by the litany of statements coming from the British, French, Italian and American actresses who worked with, or wanted to work with Weinstein. Hundreds of other women have come out of the woodwork, speaking openly now about what they have endured to get work in Hollywood. Other producers, directors and movie stars are being accused of sexual aggression and abuse of power. Every man should be alarmed by these stories of sexual predators, and look inward. What we don’t yet know is how the Weinstein scandal is likely to play out. Will it be a watershed moment in the patriarchy, changing the way men behave across industries and western nations? Or will it eventually blow over — the way a similar scandal exposing Donald Trump as a sexual predator during last year’s presidential campaign quickly evaporated, leading to his siege of the White House? We can only hope she’s wrong. Jordan Elgrably covered Hollywood and the film community internationally from the 1980s to the 2000s, interviewing everybody from Roman Polanski and Meryl Streep to Oliver Stone and Steven Soderbergh.